GIVE: Highlights from July to September: The months from July to September 2011 have been eventful. 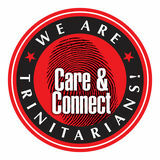 In partnership with Care Community Services Society, 279 Trinitarians turned up in force to distribute rice rations to needy families. Our Local MIT (Thai Ministry) reached out to more than 90 Thai nationals in Singapore through SALTing and a Singing Contest jointly organized with our Thai ministry. Through a Charity Festival and food boxes, an MIT to Japan blessed the people who were displaced by the earthquake last year.